Penrith recruit James Maloney says he is excited to play alongside rising playmaker Nathan Cleary as the Panthers prepare for a round one local derby against arch rivals Parramatta. “I’ve been excited to work with Nath. He’s a tremendous kid, heaps of talent, really down to earth, he works hard, he’s always working on his game,” Maloney said. 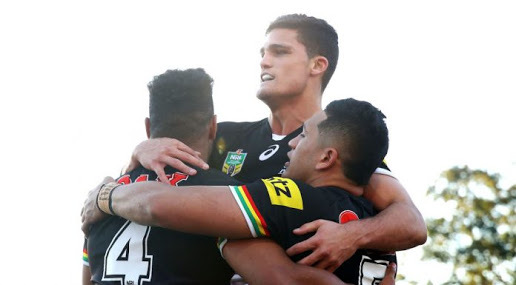 The two-time premiership winner also shrugged off Penrith’s ordinary trial form which included a lacklustre performance against a weakened Canterbury team. 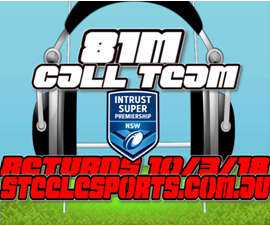 The81stMinute Call Team returns this Saturday at ANZ Stadium for Magpies versus Bulldogs – live from 1pm on steelesports.com.au!